"Fixer Upper" aired its last episode Tuesday night, but Joanna Gaines and her hubby, Chip, are keeping plenty busy. In a new blog post on the couple's website, the HGTV star and mom of four expressed excitement about the couple's many new projects — including soon welcoming baby No. 5. "Pregnancy has been so fun, in fact my two favorite things to do are take naps and eat!" revealed the star. "Since it’s been over eight years since I was pregnant with Emmie Kay, I joke with my friends that it feels like it’s my first time being pregnant." The couple's kids — Drake, 12, Ella, 11, Duke, 9, and Emmie, 8 —are also thrilled to have a new little brother. "Since I had our first four babies so close to one another, none of them actually remember me being pregnant. They love my growing belly (and boy is it growing), and they cannot wait to meet him," Gaines wrote, calling the couple's new little one "a gift from God." Gaines gave fans updates about the opening of their new restaurant, Magnolia Table, her cookbook of the same name (out later this month), and the launch of the Magnolia Kids line, which specializes in everything from from children’s furniture to accessories. "There may be some baby stuff, too, because of course that’s all I can think about!" she quipped. She also included another update that's hardly surprising for fans of pet-crazy Chip. The couple have another new kitten and puppy, she revealed, adding a pic of the family's adorable new English Mastiff puppy Brindley. Even with all the excitement at home and at Magnolia headquarters, the end of "Fixer Upper" has been "bittersweet," Gaines revealed. 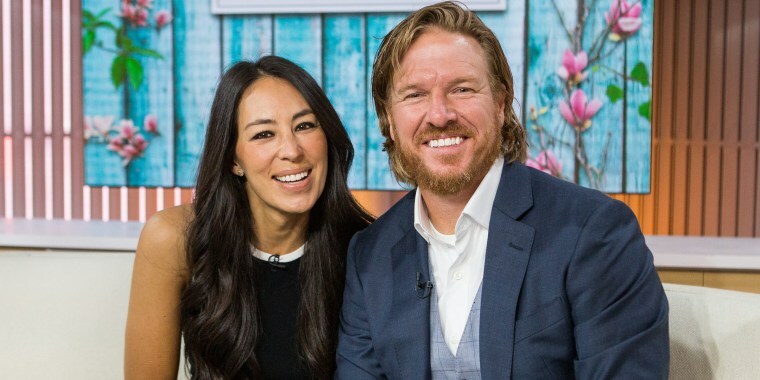 "'Fixer Upper' is the thing that introduced our family to yours, and every Tuesday night for the past five years, we have felt you rooting us on from the other side of the screen," she wrote, giving thanks to "everyone who has walked beside us on this journey." "For us, the end of this final season marks the beginning of a new one. If you would have told me that I’d end this season of the show pregnant with our fifth baby, I would’ve laughed," she wrote. "Like the entire 'Fixer Upper' opportunity as a whole, life has a way of surprising us."